DUBAI, United Arab Emirates (AP) — At the height of his power in 1971, Iran’s Shah Mohammad Reza Pahlavi drew world leaders to a wind-swept luxury tent city, offering a lavish banquet of food flown in from Paris to celebrate 2,500 years of Persian monarchy in the ruins of Persepolis. Only eight years later, his own empire would be in ruins. The fall of the Peacock Throne and the rise of the Islamic Revolution in Iran grew out of the shah’s ever-tightening control over the country as other Middle East monarchies toppled. While successfully riding rising oil prices in the 1970s, the shah failed to see that Iranians had begun to expect more as the country’s people moved from the countryside to cities like Tehran. And as the crisis reached a fever pitch, the shah’s inability to act and poor decisions while secretly fighting what would be a fatal cancer doomed him. Born in 1919, Mohammad Reza Shah was the son of Reza Shah, then an army officer. By 1925, Reza Shah became shah after forcing out the previous Qajar dynasty with the backing of the British. He named his nation Iran, which was still known as Persia until he ordered foreign diplomats to cease using the name. But Iran’s strong trade ties with Germany, Reza Shah’s push for neutrality in World War II and Western fears over its oil supplies falling to the Nazis ultimately led to a Russian-British invasion of the country in 1941. 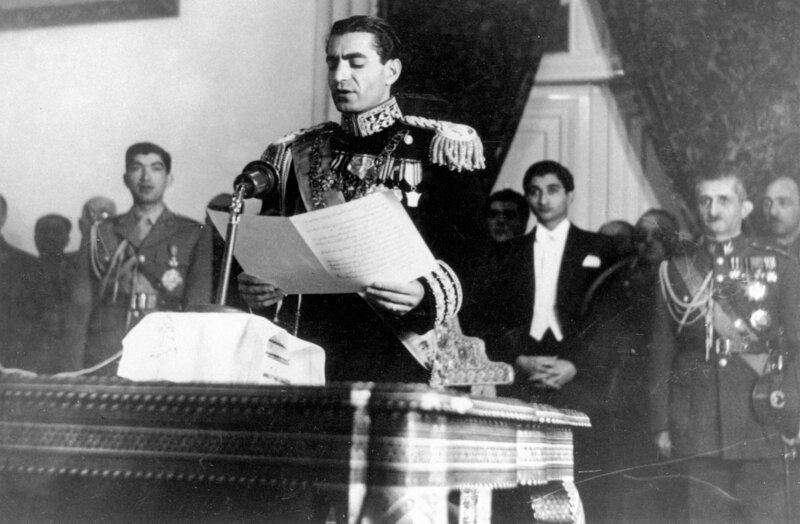 Reza Shah abdicated in favor of his son, Mohammad Reza Pahlavi, at the insistence of the occupying British forces. His full embrace of autocratic power came after the political chaos of 1953. Liberal Prime Minister Mohammad Mossadegh sought to nationalize Iran’s oil industry. The British sought to keep their control of Iran’s oilfields and its refinery at Abadan, then the world’s biggest. Meanwhile, the US feared Soviet influence expanding in Iran. Out of these fears came TPAJAX, a CIA-backed coup plot to overthrow Mossadegh. Declassified US documents show the CIA boasting that it had both leading security officials in its pocket, as well as hopes it could use the “powerfully influential clergy” within Shiite Iran to back the coup. The Western plotters soon found one of their biggest problems to be the shah himself. “His inability to take decisions coupled with his tendency to interfere in political life has on occasions been (a) disruptive influence,” the US Embassy in Tehran warned in February 1953. Ultimately, his twin sister, Princess Ashraf, and a US general helped convince him to back the coup. When the coup initially appeared to have failed, the shah fled to Baghdad and on to Italy. But protests supporting the shah, fanned in part by the CIA, led to Mosaddegh’s fall and the monarch’s return. As time went on, monarchs in Egypt and Iraq fell to nationalistic army officers. The shah felt the pressure, growing increasingly suspicious of Egyptian President Gamal Abdel Nasser and Iraq. He focused on the threats from abroad by pouring money into his military. As Britain withdrew from the Middle East, the US increasingly looked at the shah as a stabilizing force. He allowed US and British spies to monitor the Soviet Union from secret bases in Iran. He also recognized Israel as a state in 1959, long before any Arab nation struck a peace deal. Meanwhile, the shah reaped the benefit of skyrocketing global oil prices, which he himself had a hand in raising on his own and through Iran’s membership in OPEC. He sought to industrialize and educate Iranians through his 1960s “White Revolution,” as well as abolish the feudal state of much of its countryside. The land reforms angered Iran’s gentry and saw the rural poor move to the cities. There, they would become fresh recruits for the revolution. Shiite clerics railed against the shah’s relationship with Israel, his acceptance of those of the Baha’i faith they viewed as heretics and the capital’s raucous nightlife and sexual mores. They also opposed the shah granting suffrage to women as well as his opening of private universities, because the clerics had once had sole dominion over Iran’s educational system. Among those clergymen was Ruhollah Khomeini, a cleric who would be imprisoned and who would later go into exile. He would return as a triumphant ayatollah in 1979, riding the revolution to become Iran’s first supreme leader. As the economy improved, the shah increasingly seized more and more power. Everything down to the minutiae of the state needed to pass his desk. And slowly, he lost control by trying to take all of it. Also hidden from view was his cancer. He had secretly taken chemotherapy for years but knew he had little time left. He took Valium and other medication as well, likely only adding to his indecisive nature. There had been a crackdown against political opponents, seeing thousands imprisoned and tortured by his feared SAVAK intelligence service. State media in Iran now typically refer to the shah as “despotic,” focusing on the abuses and his lavish lifestyle. Iran today, however, faces criticism from international human rights groups for arbitrary arrests, mistreatment and torture of prisoners. It is one of the world’s top executioners, putting to death hundreds each year. It also has faced accusations that it detains people with Western ties and uses them as bargaining chips. Instead of fighting and holding onto power, the shah instead chose exile 40 years ago, flying away on a jetliner that he himself piloted. He died in July 1980 at the age of 60, the last monarch Iran has ever known. Asked in exile by interviewer David Frost if he wished he had “stayed and died fighting in the streets,” the shah said no.